God’s children at Compassion center NI-176 in Nicaragua. When considering this question, I read through recent letters from some of my sponsor children, and a few words came to mind repeatedly: faith, hope, honesty, enthusiasm and love. As I found examples of these wonderful qualities in my children’s letters, I began to copy their words. Who better to answer this question than God’s own children from all over the world? These children of God show us all what we must strive to be: faithful, hopeful, honest, enthusiastic and full of love. 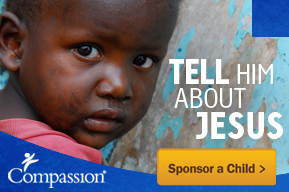 Please share in the comments section something your sponsor child has taught you about being a child of God.